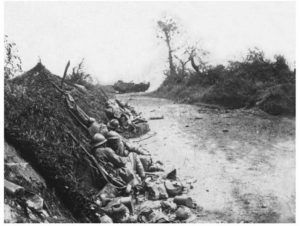 Soldiers of the 37th Company, 10th Battalion, 359e Regiment d’Infanterie taking cover in an embankment during the Battle of Matz. Image in public domain. 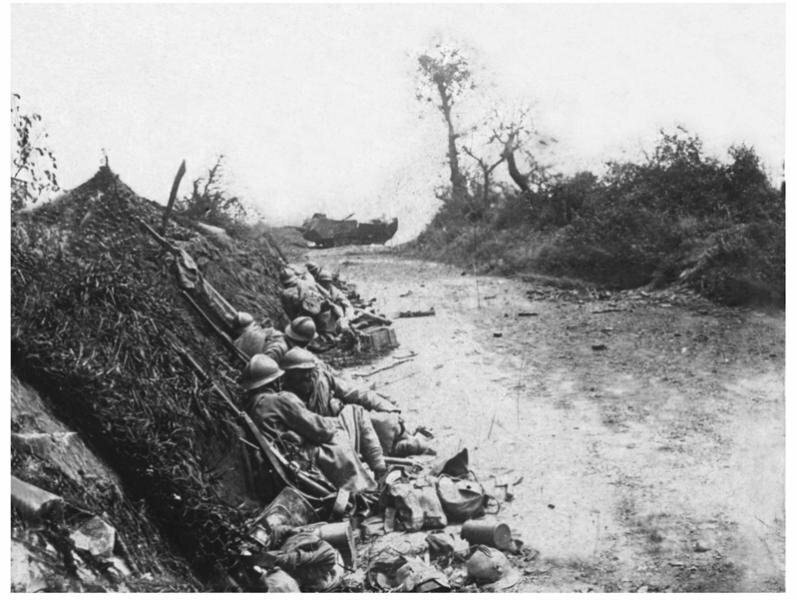 French forces at Compiègne launch a counter-attack against German troops in the Battle of the Matz. Four divisions and 150 tanks catch the Germans by surprise and halt their advance. Operation Gneisenau, the last of four attacks in the German Spring Offensive is abandoned. This entry was posted on June 11th, 2018.